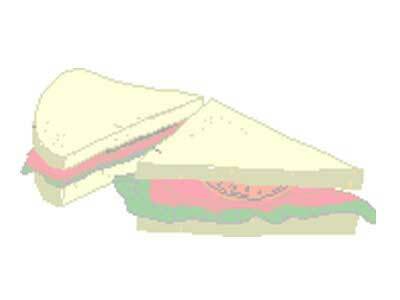 Sandwiches are mainly snack foods that consists of two (or more) slices of bread with a filling between them that can range from the tasty to the healthy. Here we have brought for you some sandwich recipes that are tasty as well as healthy. Check them out! You are sure to love them. And don't forget to refer this page to your friends. Click here to do so. Let your friends enjoy this delight too. Mix all the ingredients except the muffins together. Refrigerate for at least 1 hour to blend the flavors. Spread on English Muffin halves and broil until hot and cheese is melted. Serve hot. Heat medium skillet over medium heat. Butter bread on one side. Place one slice of bread, buttered side down, in skillet. Layer corned beef, sauerkraut and mozzarella on bread. Top with remaining slice of bread. Cook, turning once, until bread is browned, sandwich is heated through and cheese is melted. Serve immediately. Use 1 8-oz package of sliced process American Or mozzarella cheese. Heat the oven to 400 degrees F. Cook and stir the meat in a large skillet until brown. Drain off the excess fat. Stir in half of the tomato sauce and the oregano leaves into the meat mixture. Heat to boiling then reduce the heat and simmer, uncovered, for 10 minutes. While the meat mixture is simmering, mix the baking mix, egg and the milk. Measure out 3/4 cup of the batter and set aside. Spread the remaining batter in a greased baking pan 9 X 9 X 2-inches. Pour into the remaining tomato sauce over the batter, spreading evenly. Layer 4 slices of the cheese, the meat mixture, the mushrooms and the remaining cheese on top of the batter and tomato sauce. Spoon the reserved batter on the top of the cheese. Sprinkle the batter top with the grated Parmesan cheese and bake, uncovered, until it is golden brown, 20 to 25 minutes. Cool for 5 minutes before cutting into squares and serving.